By Chris Scott Barr on 11/21/11 • Leave a comment! If there’s one thing almost every gamer wants, it’s to game on the biggest screen possible. For a lot of people, that means hooking up their console or PC to the TV in the living room. Sure, a 40 or 50-inch TV is nice, but wouldn’t it be great if you could take up an entire wall? That’s where projectors come in. Of course, not every projector is meant to be gamed on. Most of them are built for either viewing boring charts, or movies. Well Optoma has a few that are aimed straight at gamers. 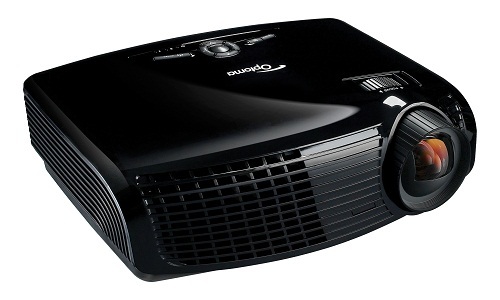 The Optoma GT750E is a gaming projector that can display games at a native 720p, and in 3D, no less. It’s also a short-throw projector, which means that you don’t have to set it clear on the other side of the room. In fact, during testing, it only had to sit a mere 50 inches from the screen to produce an 80-inch (diagonal) picture. The real question is whether or not it performs. Head over to GamerFront for the full review, and find out for yourself. By Chris Scott Barr on 09/12/11 • Leave a comment! There are plenty of gaming mice on the market, so how do you choose the one that’s right for you. Maybe you want one that looks good, or perhaps you need a lot of extra buttons for your macros. Unfortunately, if you’re a leftie, your choices become rather limited, due to the design of most mice. Thankfully NZXT knows how much of an issue this can be, and they have released the Avatar S, which can be used with either hand. The “S” stands for “small”, which may or may not be a good thing. If you’ve got smaller hands, then you’re probably going to love this mouse. If not, you could be facing some serious hand cramps after a couple hours of gaming. 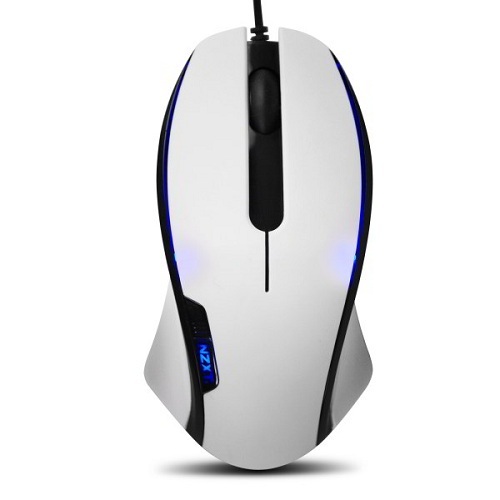 If you want the full scoop on this mouse, head over to GamerFront to check out the complete review. If you like your PC running nice and cool, then the first thing thing you’re going to want to upgrade is the CPU cooler. Those stock coolers do a modest job at best, and while they’re fine for the average Joe, enthusiasts will want rid of them. 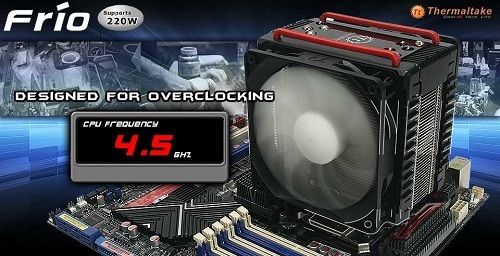 There are many aftermarket choices, and Thermaltake added another with their new Frio CPU Cooler. This cooler is going to work with most current-gen CPUs, so compatibility shouldn’t be an issue. One thing you’ll notice is that it is a big cooler. How big? Well, it has a pair of 120mm case fans on it, if that tells you anything. At $65, is this going to be the perfect cooler for you? Head over to GamerFront for the full scoop. By Chris Scott Barr on 07/06/11 • Leave a comment! When I’m gaming on my PC, I not only want to have the gear that will perform the best, but also that’s going to be comfortable. After all, it doesn’t matter how well you perform, if you’re uncomfortable the whole time, it will eventually catch up with you and drag you down. Well, that’s exactly the idea that XFX had when they designed the War Pad. 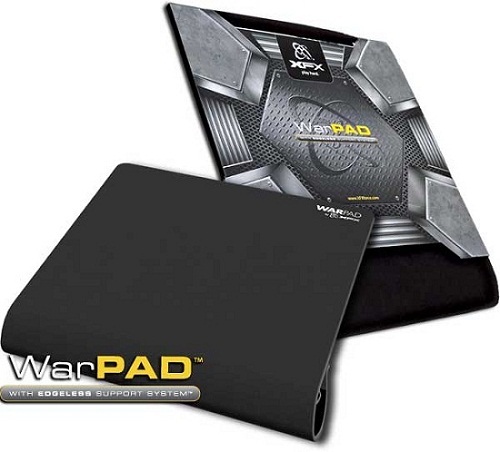 The War Pad is a unique mousepad that doesn’t just sit on your desk like others. Instead of sitting at the edge of your desk, it actually curls underneath and clips on. This design does two things. First, the fact that there is no harsh edge means that it is going to be more comfortable. Your wrist isn’t going to be sitting on a hard desk corner for hours on end, instead, the pad is rounded downward and provides a more comfortable surface. Second, the clip is going to make sure that the pad doesn’t move at all while you’re playing. The pad measures roughly 17” by 14”, so as to provide a nice big surface for mousing. It also rolls up nicely for taking to your favorite LAN. You’re going to pay a bit extra for the convenience and comfort, as it will currently set you back $50 (regular price is $55). However, I think that the extra features are worth it. By Chris Scott Barr on 06/23/11 • Leave a comment! 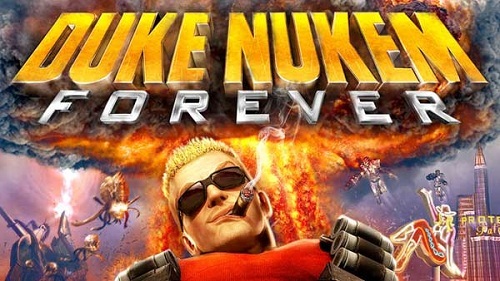 Duke Nukem Forever has been the punching bag of the gaming world for the last decade or so. With roughly 14 years in development, it’s not hard to figure out why. Last week the game actually hit store shelves, which is something many of us thought would never actually happen. But after more than a dozen years of waiting, is the game really worth it? It’s almost difficult to judge a game that has been in production for as long as this one. The main reason is that with so much hype, and simply knowing that there have been so many years poured into one game that it must be a masterpiece. You’ll have to head over to GamerFront to catch the full review, but if you’re expecting a perfect game, the Duke won’t be delivering. However, if you’re looking to blow up aliens in the most crude and vulgar game that you’ve seen in a long time, well you’re going to be in luck. E3 Coverage, And A Contest Sponsored By NZXT! By Chris Scott Barr on 06/03/11 • Leave a comment! Next week kicks off one of the biggest yearly events in gaming, E3. If you’re still not sure where to go for the latest news and coverage straight from the show floor, you should definitely head over to GamerFront.net. Not only will they be bringing you up-to-the-minute coverage, but they’re also running a contest to win some great NZXT Swag. Up for grabs is an NZXT Prize Pack, which includes a Phantom, Sentry LXE and Bunker. With these prizes, you’ll have one of the best-looking gaming rigs on the block. All you need to do is head over to GamerFront and comment on any of their E3 articles, and you’re automatically entered for a chance to win. The more you comment, the better your chances. Good luck! When you’re playing video games, you want to get sucked into the experience. Total immersion is the ultimate goal when you fire up your console or PC and start up your favorite game. There are many factors that go into the experience. Everything from gameplay, graphics, frame rate and audio all play their part in providing a good gaming experience. Naturally, this means that you want to crank your speakers up so that you can hear every bullet fire and every shell hit the ground. But what if you have to worry about disturbing neighbors, roommates or family members? Naturally, you reach for your favorite headset. 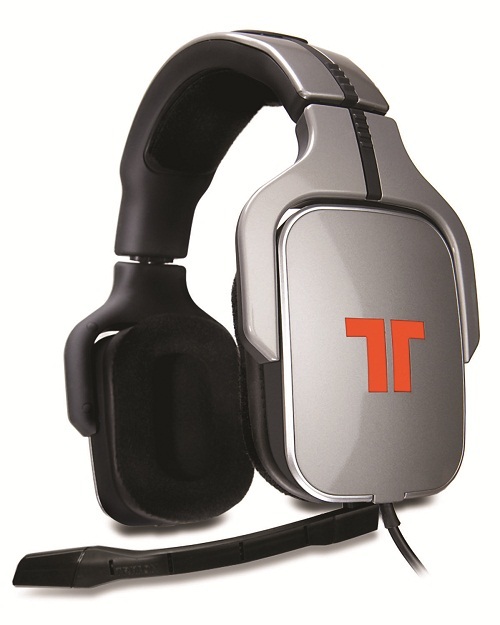 Tritton has released their AX Pro headset, which promises to deliver excellent 5.1 surround sound from not only your PC, but your Xbox 360 and PS3 as well. Unlike most other headsets that use a standard stereo jack for input, Tritton has decided to take advantage of the optical ports found on most PCs and two of the three current-gen consoles. So will their cross-compatibility and true Dolby 5.1 sound stack up to the competition? Check out the full review over at GamerFront to find out. By Chris Scott Barr on 05/13/11 • Leave a comment! In an ideal world, I’d play all of my games while looking at a giant HDTV and surrounded by some sweet speakers with the volume cranked up. Unfortunately most of us don’t get to live such a dream. Instead we find ourselves trying to make the most of the small area that we have for out gaming needs. If you’re tight on space, but still want a great set of speakers to compliment your gaming experience, Antec wants you to give their SoundScience Rockus system a look. 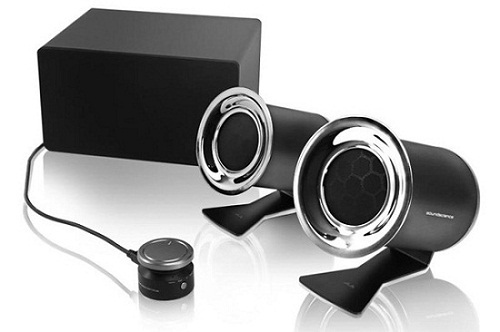 This 2.1 speaker system does more than just crank out your sound effects and music with 150 Watts of power. With the push of a button, it can simulate 3D surround sound, letting you feel like you’re in the action, without messing with a 5.1 or 7.1 setup. Console gamers will be happy to see the inclusion of an optical input, as this means you can plug your 360 or PS3 directly into the speakers. The SoundScience Rockus has a nice set of features, but the real question is whether they are enough to make this a “must buy” setup. Check out the full review over at GamerFront for all of the details.